Flying at 32,000 feet, heading for India, I was excited, and scared. I knew I was searching for something. I was looking for a different ‘me’. But, who was that? And, how do I find him? And, what if ‘he’ didn’t exist? What then? Landing in the early dawn’s dust and heat of Bombay on December 6, 1967, I was four days shy of my twenty-fourth birthday and I’d never been out of North America. On my own, far away from home, I found myself loving my girlfriend more than ever. Culture shock hit hard. I spent the first three nights in a Salvation Army hostel, for a dollar-fifty a night, including three meals and tea. The first night, my two hundred dollars in U.S. traveler’s checks were stolen and I was awakened at 5:30 the next morning by an earthquake. Nonetheless, I was amazed by India—by its richness and its poverty. The streets around the hostel stank of sewage and yet the colourful clothes, the music, the art and the smell of incense were exquisite. The local people were remarkably hospitable. If I looked lost on a street corner for thirty seconds someone immediately came up to offer directions. Often, they were very curious and asked questions. “What is your name?” “How old are you?” “Where are you from?” “Are you married?” “How do you like India?” And several times I was invited into their homes for tea and conversation. As the first days passed, I felt the wonderful winter heat of Bombay bathe my body. My neck and back stretched out and stood tall, and my shoulders came upright from their long-defensive hunch. My chest opened up, feeling unrestricted, and my breathing became deep and relaxed, like I couldn’t remember. I loved India, that first week, just for that. Just for the visceral, joyful feeling of coming home to a place within myself that I had long forgotten. It was my first conscious step on the journey within, which George Harrison wrote about so beautifully in his songs Within You, Without You and The Inner Light. It would be only a few weeks later, and a few city blocks from where I was staying in Bombay, that George would first record The Inner Light—on January 12, 1968, at EMI’s Bombay studios—and I couldn’t have imagined that by mid-February my path would unexpectedly cross his, and that of the other Beatles, in Rishikesh. When the NFB film director and his cameraman arrived a few days later, I moved across the road into the Taj Mahal Hotel. The premier luxury hotel in Bombay, it was renowned for its ornate British Raj architecture. I was now living in luxury on the film production’s budget. Two days later, we drove north by Econoline van, filming up the beautiful west coast of Gujarat and across the western scrublands of Rajasthan. 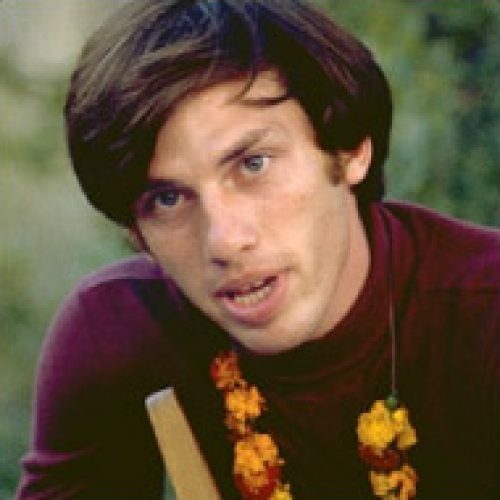 Six weeks later, we finished our filming and on January 24, 1968, we drove into New Delhi. I was excited. A letter from my girlfriend back home was waiting for me. All I can remember is her first line: “Dear Paul, I’ve moved in with Henry.” As I read her “Dear Paul” letter that first night in Delhi, my heart felt crushed. I could barely breathe through the tears. I felt totally abandoned, alone. It didn’t help that I was now ‘off the production budget’, near broke and had to check out of the posh Oberoi Intercontinental Hotel. After checking out the next day, I walked into the hot mid-afternoon sun and found a crowd of between thirty and forty press people milling about. Even though I’d worked in current affairs television for several years, I had never experienced a news scrum. A gaggle of journalists, reporters, news photographers, cameramen and soundmen were camped outside waiting for someone to arrive. A moment later, a white chauffeur-driven Ambassador, then the most common car in India, pulled in and at a shout they all grabbed their news gear. Paparazzi-like, they swarmed the car. The object of the hunt, a petite, wispy, beautiful young woman could barely get herself out of the car. As she and her female friend were rushed into the lobby by hotel staff, the press crushed around yelling out questions, microphones thrust forward, cameras rolling, snapping photographs. I recognized Mia Farrow from the numerous pictures I’d seen of her in newsmagazines, when her marriage to Frank Sinatra had ended. Mia was clearly shaken and frightened by the rapaciousness of the news people as they all pushed past me in pursuit of her. Two large Sikh doormen, wearing starched white uniforms and crimson-red turbans, blocked the press from entering as three assistant managers rushed Mia and her friend through the lobby toward a waiting elevator. One photographer slipped through a side door and as he raced up behind Mia calling her name, so she’d turn around, she lost it. She ran at him, screaming, hitting him with her bag. Two security men grabbed him and ushered him out. Mia was close to tears with a look on her face like that of a terrified child. Deeply moved by her distress, I bought a beautiful giant yellow mum at the hotel flower shop and took the elevator up to her floor. I got off and headed down the long hall towards the Maharajah Suite. The doorbell sounded quietly through the heavy mahogany double doors. After a long moment, the friend I’d seen Mia enter with opened the door. She was, I later learned, Mia’s sister Prudence Farrow. I explained that I had witnessed the scene downstairs and wanted to make a kindly gesture. Prudence was wary but accepted the flower, saying she would give it to Mia, and as I turned and went back down the hall she called after me, “Thank you.” As I left, I understood the double-edged sword of fame in a way I never had before. As I hung around New Delhi, not knowing what to do, I was desperate for relief. A new American acquaintance, Al Bragg, asked me if I wanted to come along to hear the Maharishi Mahesh Yogi give a talk on transcendental meditation. “I’ll try anything.” I said, jumping at the chance. That night, the large auditorium at New Delhi University was jam-packed, overflowing with foreigners and Indians as we squeezed in against the wall at the back. On stage, a low dais was festooned with flowers. After ten or fifteen minutes, a short, curious little man draped in white cotton, with long scraggly graying hair and beard, entered at the rear of the hall and walked down the center aisle. Close behind, twenty Westerners followed, each of them wearing colorful Indian clothes and garlands of red, white, and orange flowers around their necks. They were, it turned out, part of a group of meditators on their way to the Maharishi’s ashram in Rishikesh. As the Maharishi sat cross-legged on the dais, his followers seated themselves in a semicircle behind him. All this, he said, could begin quickly and easily without conflict in the mind and without giving up any of life’s pleasures. I couldn’t quite buy this. I guess I believed the road to inner peace and happiness was one of struggle. And yet, he was light and joyful and his laughter seemed to embody what he promised was available to all of us through meditation. Standing there at the back of the auditorium, I prayed he was right. That night, I decided to go to his ashram, or spiritual retreat center, in Rishikesh to learn meditation. Distracted by the pain I was feeling, I didn’t think to make arrangements and several days later I rode through the night by third-class train, northeast into the foothills of the Himalayas. As morning came, a dawning lavender-pink sky illuminating the forested green slopes that rose on either side of the tracks, we entered Dehra Dun, a town known for its two elite British-run private schools, its temples and as one of two rail stops close to Rishikesh. Not knowing what I was looking for, I walked a half-mile along the pebbly and rocky riverbank until I saw a small sign at the foot of a narrow path. Made of rough wood, it had the word ‘ashram’ crudely painted on it, with a small arrow pointing towards the heavens. After a circuitous and steep climb through trees, thickets and patches of large purple wildflowers, I reached the top of the cliff. It was early afternoon on a beautiful day. From there, a one-lane dirt road ran several hundred yards away from town, along the cliffs, leading me to the ashram. I thanked him, dropped my backpack to the ground, and plunked myself down. I had no idea the Beatles would be there and, at that moment, it was not good news. I spent the afternoon resting there by the gate and wrote a letter to my parents and one to my girlfriend, hoping she would reconsider. A few hours later, Raghvendra returned. Again, he was soft-spoken and kind. He explained that there were sixty meditators in the ashram from all over the world, to take their advanced teacher’s course, and with the Beatles and their wives there the ashram was closed to all visitors and the press. Without thinking, I said, “Can I wait?” Raghvendra was a little taken aback. He paused, seeming to check my sincerity, then said, “Yes” and added that, since I had come all the way from Canada, I could sleep in one of two old, white canvas army tents pitched across the path in a clearing of scrub grass under the old teak trees. He added that they would send me their “simple vegetarian meals.” Each tent could sleep about six adults, but I was alone in mine. A local tailor from the village below had temporarily set up shop in the other tent. As each day stretched slowly into the next, I thought about my quest to ‘find myself’ but I just wanted my heart to stop hurting. I longed to be taught meditation. Over the next few days Raghvendra and I talked often. A kind, decent, down-to-earth man, there was always a twinkling joy in his eyes and whenever we looked at each other we couldn’t help smiling. Raghvendra was a brahmacharya, or novice monk, and one of the Maharishi’s closest disciples. He had spent many years looking for a guru and when he finally met the Maharishi, two years before, he gave up his law studies and became one of his lifetime students. The turbulence of world events in 1968 didn’t echo in Rishikesh. At the same time, the world’s press arrived to find out what the Beatles were doing there. Every day 20 to 30 would arrive: camera crews, radio and press reporters: BBC, the American networks, Time Magazine, The Saturday Evening Post, Paris Match, Vogue, Der Stern, Italian and Japanese television, and more. Each afternoon I’d watch as the Maharishi came out of the gate to give a press conference and answer questions. Referring to the Beatles, one British reporter asked me if I thought they’d “gone bonkers”.